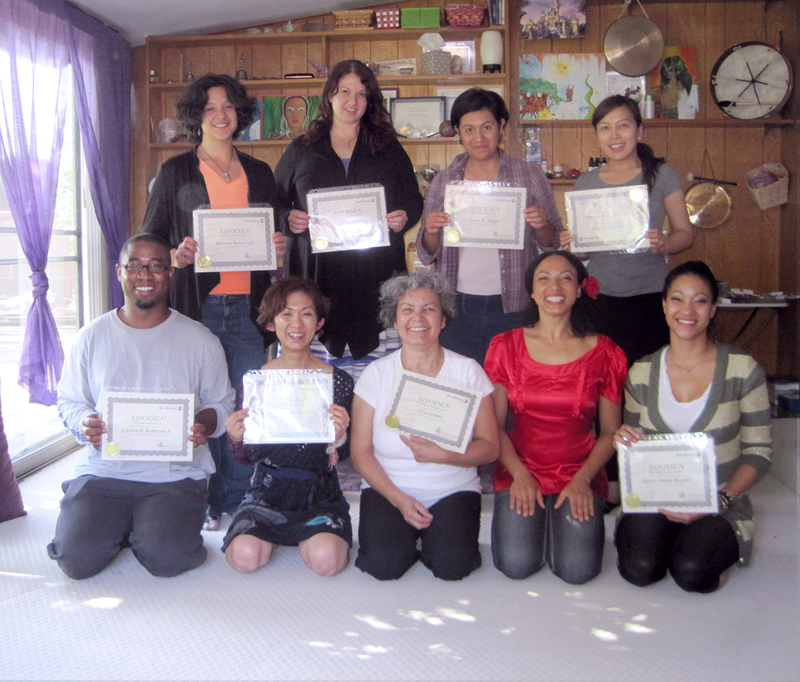 Join us for SHODEN (First Teachings) Reiki Ryoho Level I!! …IS SHODEN CERTIFICATION FOR ME? The answer is “if you want to discover traditional REIKI as it was taught before any Western influence, then SHODEN IS YOUR CLASS! Also, you will become part of the lineage shown to the right. 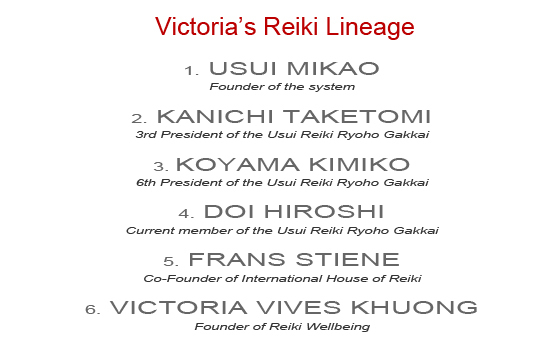 You can attend REIKI RYOHO starting at $90!! Details below. Practice REIKI as a way of life and self-discovery! Victoria Vives Khuong is an Usui REIKI Ryoho Master Teacher trained and certified by the International House of REIKI and an Usui/Tibetan REIKI Master Teacher and Karuna Reiki® Master Teacher registered with ICRT (International Center For Reiki Training), a Martial Artist and channels Higher Self messages.She is known for living life fully and inspiring others to do the same. Her incessant desire to understand the secrets of Energy and achieve optimal health, happiness, and harmony in all areas of life, brought her to study Martial Arts and to complement them with Healing Arts. Victoria started in the Healing Arts over 10 years ago, in a metaphysics charity group back in Spain, channeling the Green Ray for healing others. The Early Bird prices (7+ days before the class) are as it follows. For tuition after the Early Bird, just add $25.